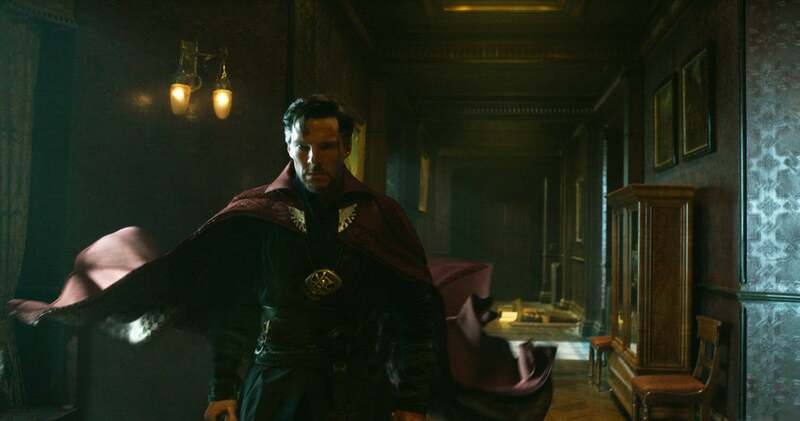 The latest installment in the largest film franchise of all time sees one of Marvel's lesser known characters yet again coming to life: this time, it's the ingenious sorcerer Steven Strange, portrayed by Bennedict Cumberbatch, in a new blockbuster MCU picture helmed by Scott Derrickson. 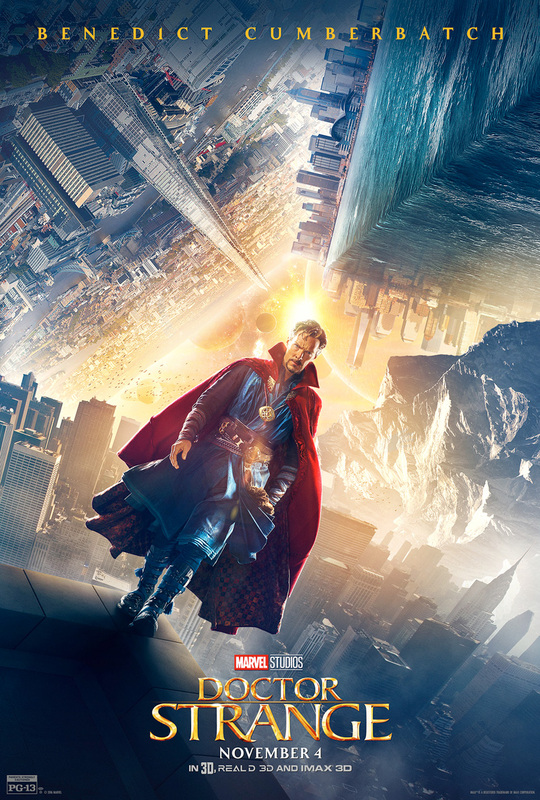 Beginning as a smart yet arrogant neurosurgeon with a wealthy life and a incredible reputation, Strange's prospects are turned upside down when he finds himself in a horrific car accident that leaves his hands severely injured and barely useable. In his quest to recover and refusal to accept defeat, he finds himself eventually journeying to the Karmar-Taj compound in Nepal, becoming pulled into a world beyond everything he deemed real and an eventual mission to save it as well as himself. Recently the MCU has been a bit of a mixed bag for me; the previous installment, Civil War, didn't really win my interests as much as it did for others, but thankfully Doctor Strange seldom feels like it is part of the shared universe without sacrificing any major franchise conventions. By this I mean, as with several other standalone MCU hits, the film never tries to consistently mention or integrate other characters into the mix just for the desperation of showing that this is an MCU movie, given that it's, again, not one of Marvel's biggest characters. Doctor Strange focuses on it's own narrative from the get go and stays focused from there on, and things move at a surprisingly quick but engaging pace as the story escalates. It may be a bit too fast at first, giving little time for further character development, but it's an approach that works well for the most part. The most notable thing about Doctor Strange from the start is of course it's visual effects - as we move into the latter portions of the film and witness the titular hero truly evolve, a stronger focus on effects comes into play to depict the numerous confrontations he finds himself within. Such confrontations take place within a number of twisted realms and distorted depictions of real world landmarks, influenced by the powers of the heroes and villains, which ends up forming an Inception-esque series of set pieces that are notably impressive in 3D - and especially in IMAX. The talent behind these effects is evident when you realise how seamlessly each actor is integrated into them; the shifts between physical and CGI shots are far from jarring and flow beautifully, making said set pieces all the more entertaining and engaging. Aesthetics aside, the fact that the general fight choreography in most battle scenes is equally as impressive and fast paced keeps these scenes enjoyable outside of just staring at pretty graphics. Bennedict Cumberbatch arguably shines in the titular role, with a confident, witty, and fittingly heroic performance - this blend of humour and substance translates to several other key characters, notably Tilda Swinton as The Ancient One, Chiwetel Ejiofor as Karl, and Tilda Swinton as the Ancient One. Perhaps, as is the flaw with many MCU films (and even modern blockbusters to be honest), unwanted humour may sometimes spring up only to kill the atmosphere of an effective scene, but the overall tone of the script is thankfully inviting for a large demographic and never sinks into something too menacing or dark. As a villain, Mads Mikkelsen provides a strong effort and yields great results, despite a somewhat underwritten role, though such lack of development can't compare to the general uninteresting persona of love interest Christine Palmer (Rachel McAdams), who is decent enough as a general character, but the romance between her and Strange is arguably forced to a point where it seems like the director really did not want it in there. 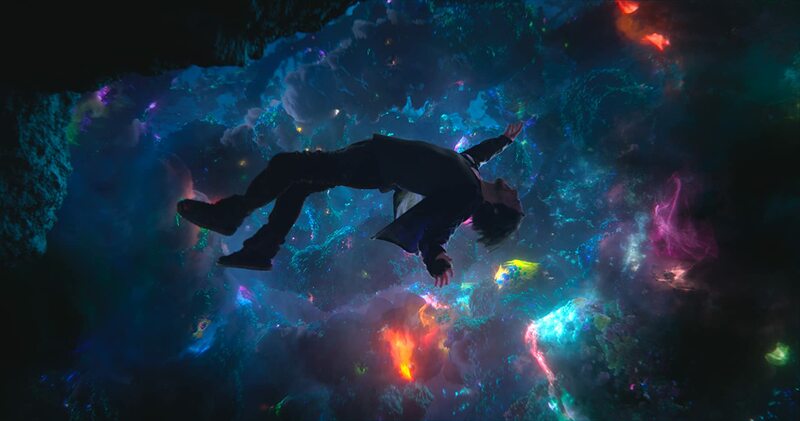 Overall, you can safely call this another new hit in the MCU, boasting a solid script, directed confidently by Scott Derrickson, and brought to life with talented, passionate actors and a dazzling array of visual effects. The key flaws come in the form of aforementioned character setbacks, yet also an effective yet very abrupt climax that ends an otherwise superb finale in a slightly disappointing fashion. Still, the clever amount of ideas placed into the film are admirable to say the least, and it makes for a refreshing superhero origin story and a great watch all round.